Advertising is the lifeblood of online content. How does Google manage to stay in business? Online ads. Mashable? CNN? That random blog you frequent? 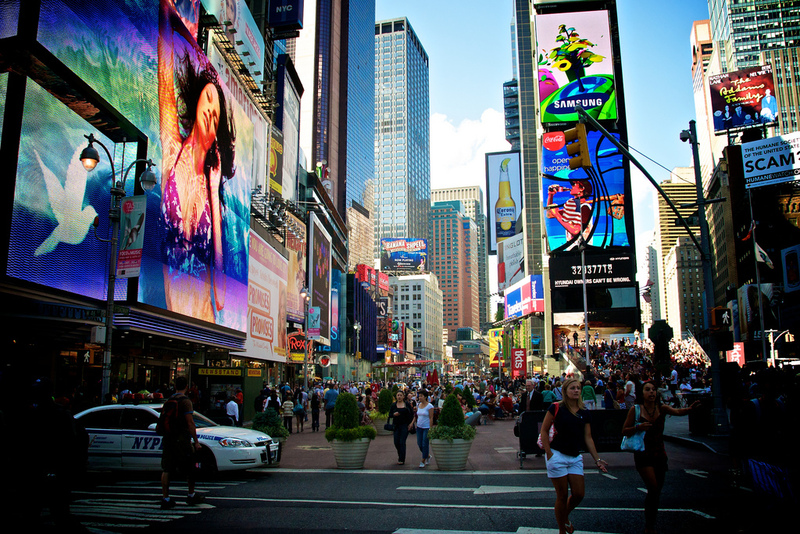 The vast majority of the digital world is paid for by advertising. With hundreds of millions of people accessing the Internet daily, it’s no mystery why: there are a lot of eyes looking at web pages and, therefore, a lot of opportunity to earn money. With 750 million users, Facebook is the second largest website in the world. Because the opportunity to appeal to such a large demographic is rare, Facebook knows that advertisers lick their lips at the chance to be in front of so many eyeballs. And thus, the Facebook Ads platform was born! You pay money to advertise your fan page, website, or application on Facebook. 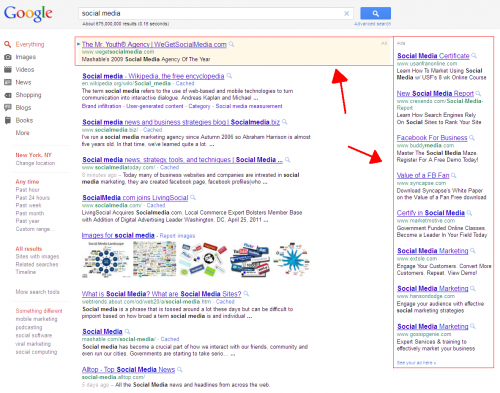 As a result, you (hopefully) get people clicking your link! If done properly, Facebook ads are beneficial for Facebook, and you, the advertiser. Because Facebook Ads are so new, very few people know how to fully unlock the potential of the platform. After this how-to, dear reader, you’ll be one of those super lucky people. This guide is split into six different sections, starting with the basics (e.g. what are the different types of Facebook ads?) and ending with a full run-down of how to create (and maintain) a successful campaign. The article is filled with examples of my experiences with Facebook advertising (including how I managed to blow through a few thousand dollars in less than 72 hours!) so you can learn from my mistakes. Some of you may be familiar with Google AdWords, the advertising platform that brings in a large percentage of Google’s revenue. 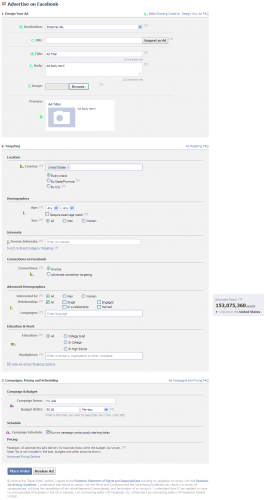 In essence, Google charges advertisers money to appear in specified slots on search pages. As you can see, it’s often difficult to distinguish between the ads on the page (especially that top ad which looks just like a normal a search result!). These ads result in a massive amount of clicks, which means a hefty amount of income for Google as they charge the advertiser to appear on these pages. Specifically, because that screenshot is from my profile page, the ads are called “Premium Ads.” Premium Ads run in the most popular locations on Facebook including your own profile page (and, as a result, they’re the most expensive type). Roughly 90% of a user’s time on Facebook is spent on their own page, so users are more apt to pay attention to ads displayed there. While there are a few other Premium ad types, most of them will be out of a normal person’s budget. If you’re still curious, you can read the Facebook Product Guide for more information. Outside of Premium Ads, there are Marketplace Ads (also commonly known as “Regular” ads). These are more commonly used, are cheaper than Premium Ads, and as a result, a better way to get started in the world of Facebook advertising. Primarily, we’ll focus on the Marketplace Ads in this how-to. You can see all four in the screenshot below, straight from the Facebook Product Guide. 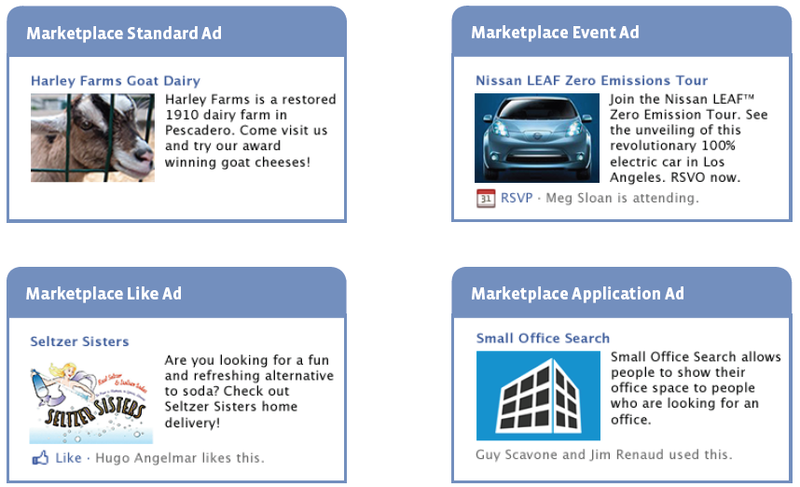 Now that we have the basics into squared away (quick quiz time: what are the four types of Marketplace Ads?! ), we’ll explore some of the benefits of Facebook advertising. As you’ll learn in the next section, there are a few neat things you can do with Facebook advertising. You create an ad for all males in the United States, 18-34 years old. After all, the estimated reach of creating this ad is 41 million people! You create an ad for men and women, aged 25-40 in Florida, California, Hawaii with an interest in “scuba,” “divers,” “diving,” “scuba diving,” “snorkeling” who have at least a college education. The maximum reach for this ad is 48,000 people. The answer: although you’re appearing to less people, option “b” is better. With “b”, you’re attracting users who are more likely interested in your page. The ads are slightly more expensive when niched down (recommended range between $2.15 and $3.40 for option “b,” while the estimated cost per click is between $1.54 and $2.42 for option “a”), but the users that click “b” will be “stickier” and more likely to become fans of your page. Money spent more intelligently! Help your fan page or website grow! The main rationale behind using Facebook Ads, of course. 🙂 You want your business or page to get more qualified users after all, right?! 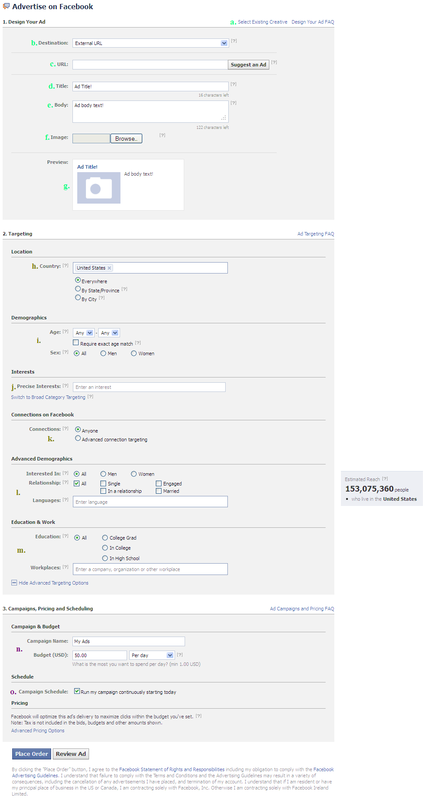 Let’s break down the creation of a Facebook ad! In the screenshot below, you’ll see the page you’re directed to when you click the green “Create an Ad” button on https://www.facebook.com/advertising/. a. You can create an ad based off of an existing creative. This is useful if you’re creating a large batch of advertisements and you want them to be similar. In that case, it’s easier to create one ad, clone it, and then make small adjustments. Much easier than re-populating all the fields. b. You can input an external URL, or tie the ad into a Facebook fan page, app, or Facebook Place you’re an admin of. c. If you choose an external URL, you input the URL in this box. Otherwise (in the case of a fan page, for example), it’s grayed out. d. Space for the ad title, which, as mentioned above, is limited to 25 characters. It gives you a real-time counter while typing to keep track of the characters left. e. Space for the body text, limit of 135 characters. Again, you’re given a counter to keep track of characters used in real-time. f. The option to attach an image to an ad. Facebook scales this image automatically. g. A preview of all your work from points a to g. The preview is updated in real-time. h. You can limit your ad by country, state, province, and city. You cannot do a worldwide ad, however; the least granular you can get is listing one country. A relatively new targeting option is by zip code, which is especially handy in major cities with multiple zips (NYC, I’m looking at you). i. Want to target by age and gender? You can in this box! j. Targeting by specific interests is an option. For example, I could target users who are only interested in “2pac”, “bowling”, or “New York City”. Additionally, I can switch to more broad categories and target Facebook pre-populated lists like “Sports”, “Retail/Shopping”, or by family roles such as “Parents”. k. Appearing to “friends of friends” is easy when targeting by connections. For example, if you run a few fan pages, you can target users already connected to one or two specific pages and/or not already connected to specific pages. So, let’s say I work for Anderson Cooper on CNN and want to create an ad for his fan page. It might be (and probably is) more effective to target users already connected to other CNN pages since they’re part of my niche demographic. In essence, targeting by connections typically increases the chances your successfully leads to clicks and connections. l. It’s possible to specify users based on relationship status and sexual preference. As an example of its benefit: how many guys are interested in women’s dresses? Best to target women only on that one. m. Advertising to users in defined education brackets and companies is another way to funnel your audience. n. If you have a few different campaigns, you can create campaign names. What’s the benefit? Going back to the CNN example, you could create campaigns for “CNN Money”, “CNN World”, etc. so you know exactly which type of ad is placed in each (and you can compare between the two campaigns). Budget is the amount of money you’re willing to spend over the life of the campaign. o. If you set a time limit it spends the budget you allocated in the time frame you defined. After an ad is completed it goes through a (usually quick) manual review process by someone on the Facebook Advertising team. So, your ad will not show up immediately. Just be patient! Now that I’ve shown you how to create a Facebook ad, it’s time to look at the ads in practice. I had the opportunity to run a few different campaigns recently and tested the exact practices I mentioned above. In total, I made hundreds of variations before I ever hit the “publish” button, but the end result was only 5 different ads. Now, I know a lot of you are going to panic when you see the amount spent. However, don’t worry: Facebook ads are scalable with any budget. As detailed a couple sentences back, there were many more than the five ads at the beginning of the flight. The ads had slight variations in body text, images, and/or title text copy. When I had a good idea of what I thought would work, I published the five ads you see noted above. However, I didn’t stop editing the ads once they were live! As the ad flight continued, I saw nearly real-time updates of how the ads were performing and paused and adjusted the ads as necessary. By the end of the flight, the end result was what you see above: five ads of varying effectiveness. Reach. The number of unique people that saw the ad (different than impressions because impressions can count the same person more than once). Frequency. The average number of times a unique user saw the ad. Social Reach. The count of people who saw your ad, and saw a friend who “liked” that specific ad. Connections. The most important stat of the bunch if you chose to send a user to an internal, Facebook URL: how many new fans did you get to your page? Price. The average price per click (or 1,000 impressions). This is different from a “bid” in the sense that a bid is the max price you’d pay for a click/1,000 impressions, and the price is the average cost of the actual click/1,000 impressions. With those definitions noted, let’s look at two ads from the list above: the most effective, and the least effective, and let’s break them down. First, the least effective as defined by the uber important metric “connections.” Below is the “Pirate” ad listed seen in the screenshot earlier. Let’s first take notice of something I did well: the targeting. I niched down the ad to a very select audience (those who have “English (Pirate)” as their language, live in the United States, and aren’t yet connected to my page). Additionally, I used an attractive picture to that demographic and used a body text copy that I thought would resonate with the user. Now, for the bad: Why the heck would people who have Pirate English set as their language be interested in my page?!?! Sure, I picked a niche, but it was the wrong niche. There were no similarities between the user in this ad and the normal fan of my page. And, the results proved this: this ad only received 8 connections (500 lower than the second-lowest) and had the lowest click-through rate (0.012%). I did a few things well on this advertisement. First, I targeted heavy users of the Internet (as defined by the age group), and used a bright red and blue icon to attract them. Secondly, I targeted users who had friends already connected to my fan page. Social proof! Since their friends are connected to the fan page, there was a higher chance the user I was targeting would be interested in the fan page as well. As a result of this ad alone, my fan page received nearly 2,500 new Facebook “likes” in less than 72 hours. That was nearly double the second place ad. Everyone will have different assumptions and hypotheses to test, but here are a few I tested with my ad flights. Facebook ads have a cost per fan acquisition of about $1/fan. I noted this after hearing a Facebook representative mention this at the Facebook L2 Clinic in NYC a few months back. Facebook ads grow stale extremely quickly. In essence, you need to run your ads over a very short amount of time because users lose interest at an alarming rate. In part, the thought behind this is probably due to users seeing the same ad on their profile page, their friend’s profile, and other right rail areas over and over and ignoring them. It is absolutely necessary to have a Facebook Ads campaign if you want to grow a successful fan page. 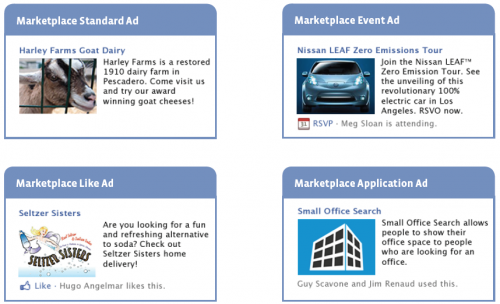 Advertising on Facebook is an integral part of a social media presence. Mentioned during a L2 Clinic speech by a Facebook Advertising team member (probably with a bit of a vested interest). With the hypotheses in line, it was time to record some data! Before the ads ran on Facebook, I recorded the fans on the soon-to-be-affected fan page. To stay consistent, I recorded these numbers at 11 am ET every morning. 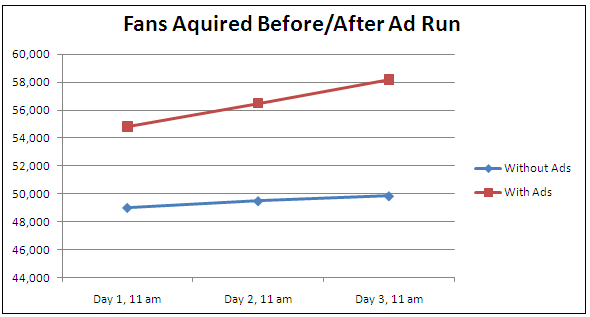 After the base reading for all three days without ads was recorded, I started the Facebook Ads campaign. The flight began on 4/19 at 10 am ET and ended at 11:45 pm ET on 4/21 (less than 40 hours!). As you can see, we saw some nice fan growth using the Facebook Ads platform when compared to the normal day-to-day growth. To put the details into specifics, without the ads running we saw a 0.9% increase in fans on our page daily. However, with the ads running, we saw a 3.1% fan increase daily. As the graph below shows with one glance, 2.2% is a significant difference. Cost per fan acquisition is less than Facebook’s claimed average: average is $1 per fan, I managed to average $0.87 per fan during this ad flight. Facebook ads go stale extremely quickly; over a 60 hour time span we saw our social percentage drop 20 points, and our CTR drop 66%. While not integral to a successful page, Facebook Ads do help grow your page. Whether it’s worth the money is a page-by-page decision. Facebook Ads can save people and companies a lot of time and effort to gain fans the ol’ fashioned way, but $0.87 per fan acquisition is still expensive if you’re looking to gain a lot of fans. Well, the benefits are clearly visible in the previous section. The fan increase is obvious, and the overall ad flight is extremely quick so you do not have to spend months maintaining a group of ads. However, there are are a few downsides to the Facebook Ads platform. As mentioned above, the ads are expensive can get you’re looking to gain a significant number of fans to a fan page. To find out the rough estimate for you, multiply $0.87 (the cost per fan of my experiment) by the number of fans you’re hoping to get. If it’s too expensive for your budget, perhaps you should use Facebook Ads in tandem with good social media practices (or just don’t use Ads at all!). 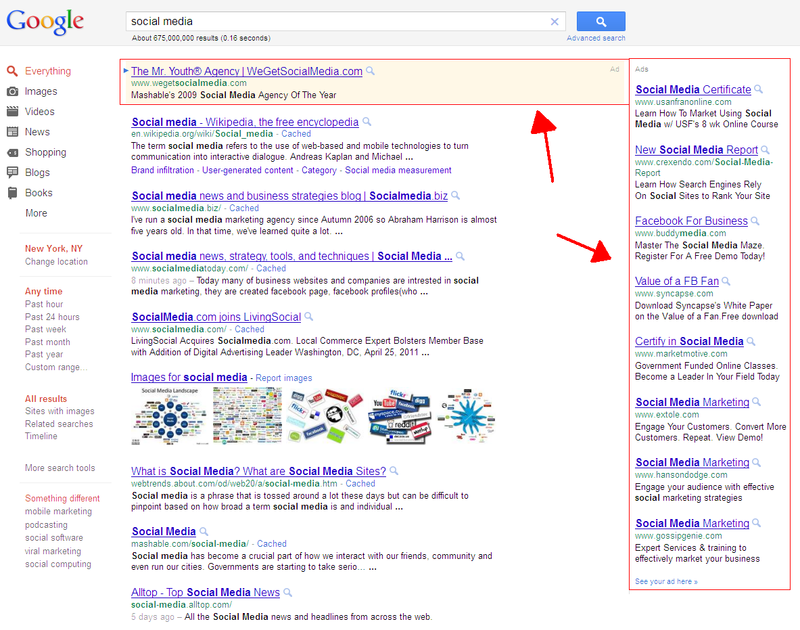 The ads aren’t as effective as compared to Google AdWords and other online advertising platforms. My highest ad only had a CTR of 0.114%? That’s pretty pathetic by general advertising terms (but, rumors have it that Facebook ads average only about 0.05% CTR!). So, with that wrapped up, what are you waiting for?! 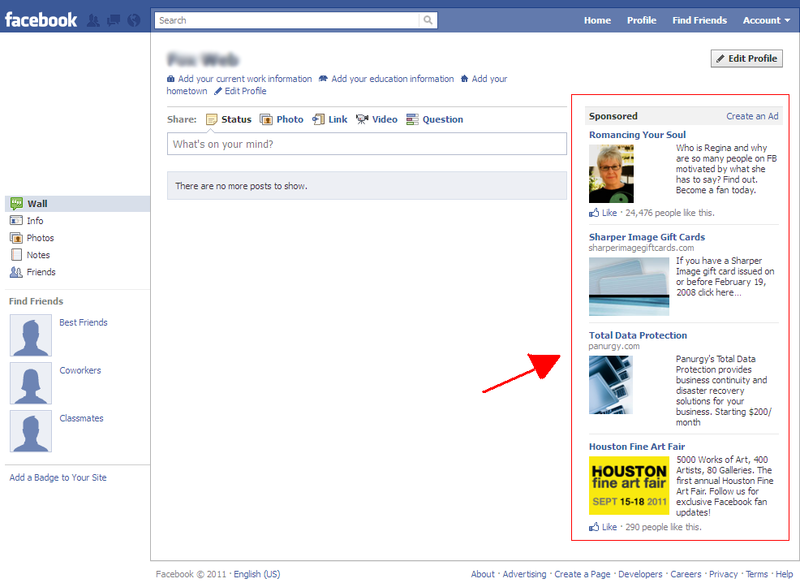 If you think Facebook Ads warrant a closer look, head over to Facebook Ads website and start creating! QoD: Do you ever look at the ads that display while you’re on Facebook? ⟵Books: Remember Those Things You Used to Sit Down and Read? Very thorough! Didn’t facebook ads have a keyword option? I wanted to target a clients ad to those that liked other facebook pages. I can’t find that anymore. Did that scrap that and the keyword option? Thanks in advance for your reply. These were some really awesome tips on creating great Facebook ads and growing your Facebook page. Excellent breakdown, David! Very helpful. Thanks so much!